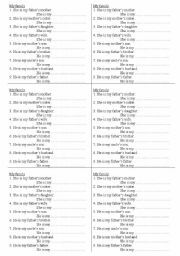 worksheet to practise the use of the tenses - Past Simple and Past Continuous. 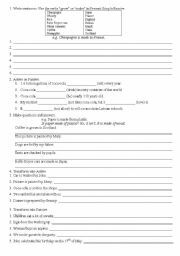 May be used for individual work and also for classwork. This is a reading/listening/writing exercise. 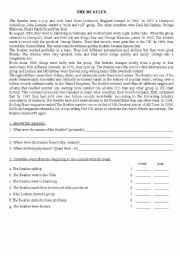 At first students may read the text and do the task 1 and 2, then you may offer them to listen to the songs of the Beatles "Help" and "Yesterday" and to write about their emotions about one of them. 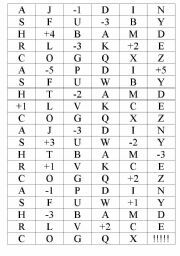 It�s a reading exercise. 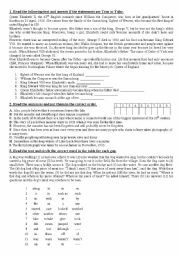 I offer it to my students when we revise the Past Simple (ir/regular verbs and making questions) or as an aditional task to students who are "very fast". These are three small reading exercises for students to practice different types of reading tasks. True/False, putting sentenses into the correct order, choosing the correct answer. 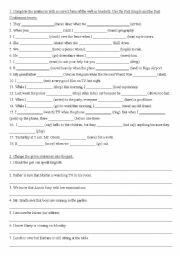 for use in class to understand where to use the Past Perfect tense. 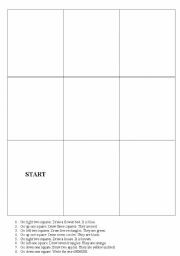 Can be used for individual or classwork. This is a board game. Students may play in pairs. Individual work. A student has to read the description and to draw what is written. An activity for revision: colours, directions, shapes. A very simple exercise to start a lesson. Can be used as a warming-up exercise. This is a ppt to help students to start talking about their pets. I have done this ppt to show my students how they can describe their pets. It has got a very easy vocabulary. My students liked it a lot and I hope yours will enyoj it too! Part 1 This is a powerpoint I have prepared for my young learners. We were speaking about different animals and my pupils enyojed this ppt. Hope you will like it too. One problem - this file was too heavy, so I had to devide it into 3 parts. Part 2 This is a powerpoint I have prepared for my young learners. We were speaking about different animals and my pupils enyojed this ppt. Hope you will like it too. One problem - this file was too heavy, so I had to devide it into 3 parts. Part 3 This is a powerpoint I have prepared for my young learners. We were speaking about different animals and my pupils enyojed this ppt. Hope you will like it too. One problem - this file was too heavy, so I had to devide it into 3 parts. Information about Canada. Geography, history, interesting facts. Information about Canada. History and interesting facts.